The David R Cornelius in Prattville, Alabama provides the following products. To learn more about each insurance product, click on the links below. Auto insurance is not one-size-fits-all. For some Prattville residents, it's all about state-minimums and low-as-they-go policy premiums. For others, it's about finding the right claim limits to safeguard your family's financial health. For some, the biggest question isn't even about insuring the everyday vehicle, but what sort of auto coverage is needed for their motorcycle, RV, or other specialty vehicle. With the knowledgeable and responsive experts at the David R Cornelius, we know how to customize a policy so that it meets the needs and priorities of your Prattville household. As much as we know about auto insurance, it wouldn't be enough without the products and programs available through Nationwide. Along with standard auto coverage options, we're proud to offer our Prattville customers more personalized policies. There are exclusive programs like Vanishing Deductible® and a bunch of discounts you may qualify for. Plus, if the day ever comes when you need to use it, Nationwide offers the renowned On Your Side® Claims Service and AutoWatch® so you can monitor your vehicle's repair work. Let the David R Cornelius take the stress out of buying auto insurance in Prattville. Give us a call at (334) 358-1344 to talk about your coverage or to make an appointment with our office during business hours. We're located at 696 N Silver Hill Drive. David R. Cornelius is a leading Nationwide Insurance agent who specializes in home insurance. These policies protect your home in the event of many natural and man-made disasters, and provide required coverage prior to purchasing a property in many cases. Here at David R Cornelius, we understand the unique needs of homeowners, and we will do everything in our power to find the right type of policy for you and your home. 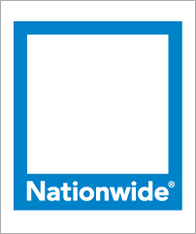 When you work with a Nationwide agent, you will be working with one of the very best. At David R Cornelius, we want to make customers aware of how easy and affordable life insurance is. We know many people in Prattville think they cannot afford to have a good policy that protects their financial interests. That is why we work with Nationwide to provide customers with the diverse coverage options they need to sleep peacefully at night. To better understand coverage options, we encourage you to contact David R. Cornelius at (334) 358-1344 to arrange a time to meet in office at 696 N Silver Hill Drive,Prattville,AL,36066 to discuss your needs. For additional convenience, our agents are ready to help you go over coverage options over the phone. Whether you operate a golf course, medical clinic, or auto repair shop, coverage from Nationwide can fulfill all the small business insurance requirements that apply to Prattville companies. Let David R Cornelius help make sure that your customers and employees are protected, while also allowing your company to move forward when covered damages do occur. The versatile risk management products from Nationwide are backed by strong value, attractive discounts, and the superior On Your Side® Claims Service. Moreover, flexible billing helps meet your financial scheduling needs, while different payment options can prevent insurance from becoming another logistical hassle. From customized policies to good old fashioned customer service, it's all part of the package David R Cornelius offers our Prattville business clients. No matter how well you know your business, there always seems to be a few lingering questions about the right coverage for your company. Whether it's the location of your storefront, the size of your commercial fleet, or the feasibility of new employee benefits, let David R Cornelius answer any and all questions you might have. Give us a call at (334) 358-1344 to talk about your coverage or to schedule an office appointment at 696 N Silver Hill Drive. The David R Cornelius also offers products in AL, GA, MS, NC, TN. Please call for information on products in those states.